Dr. Heilala was invited by ACFAS to be a faculty member at the annual Foot and Ankle Arthroscopy skills course at the Orthopedic Learning Center in Chicago, August 2-3, 2014. His lecture was titled “Complications in Foot and Ankle Arthroscopy” . 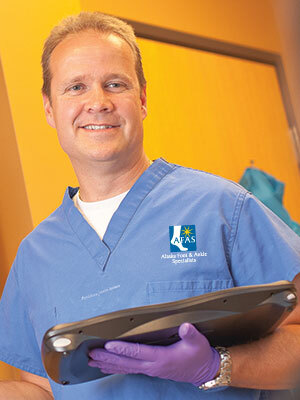 Dr. Heilala was a resident participant at the first ACFAS Foot and Ankle Arthroscopy skills course in 1997. Heilala said it was a great experience to assist in the training of residents and current podiatric surgeons. New advancements in techniques and treatment options have occurred since then. Aided by some of the most modern technologies available, a diagnosis and treatment can often be rendered in one visit. Contact AFAS today and schedule your appointment.